Walking and labor induction go hand in hand for many pregnancies. Walking is one of the commonly recommended methods of self inducing labor naturally and has many advantages. Many women who have had healthy pregnancies are encouraged to walk when they are very close to or have passed their due date. Although doctors debate over whether or not walking actually cause labor to begin, there is a strong correlation between activity such as walking and going into labor. You don't want to engage in strenuous exercise near the end of your pregnancy, but walking has a number of benefits for the mother. Many women enter into the stages of early labor without fully realizing it, and walking can naturally help the labor progress more effectively. Walking helps mom be more comfortable and this can also help the body relax and prepare for labor. The anxiety level of many women is also very high near the end of the pregnancy, particularly with first time mothers, and walking can help alleviate anxiety. Walking can help pass the time in the last weeks or days before delivery. The force of gravity and pelvic pressure can help the baby settle into the proper position, another bonus for preparing to give birth. The physical movement may also help stimulate the muscles and prepare for contractions. The body's perspiring during walking may also signal the pituitary gland to increase hormone production, which may in turn have an effect on the hormone oxytocin, which causes labor to begin. Since, there is little hard and fast proof of the relationship between walking and labor induction, many practitioners recommend that you employ whatever activities and physical positions make you the most comfortable at the end of your pregnancy. Avoid uneven terrain and large numbers of steps - your energy level and balance both decrease dramatically in late pregnancy. Walk in safe and familiar areas that are well lighted. 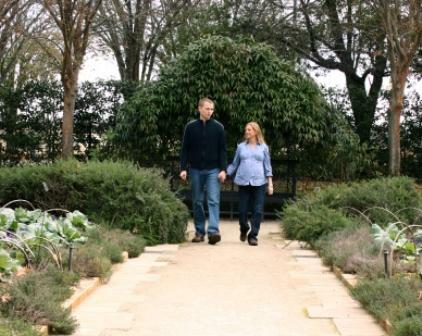 Walk with your partner, friend, or relative whenever possible. Walk in comfortable shoes with non-slip soles. Drink plenty of water before and after walking to prevent dehydration. Avoid walking in extreme temperatures. Take breaks as necessary and don't overexert yourself. Wear comfortable, breathable, clothes and a supportive maternity bra. Walking in late pregnancy is not for everyone. There are a variety of situations when this is not ideal. If you have a high-risk pregnancy, it may be important that you go into labor at the hospital in a monitored environment. If this is the case, discuss with your doctor when exactly you need to go to the hospital. You may be able to walk in the hospital while still being monitored. Women who are not full term should also not attempt labor induction techniques as the baby may need more time to fully develop. Those who are at a risk for premature labor or other complications may also need to avoid walking to keep from labor being induced too early. If your 'water' (sac of amniotic fluid) has broken, your practitioner may ask you what color the fluid is -- if it's not clear, that could be a sign of meconium (waste) that may pose a danger to the baby. In this case, you may not be permitted to walk even if you are not yet in labor or having contractions since the baby will need to be monitored. Walking can be a healthy and beneficial option for many women in late pregnancy. Although long-believed to be a method for bringing on labor, it is not guaranteed, and you should do only those activities you feel comfortable doing.